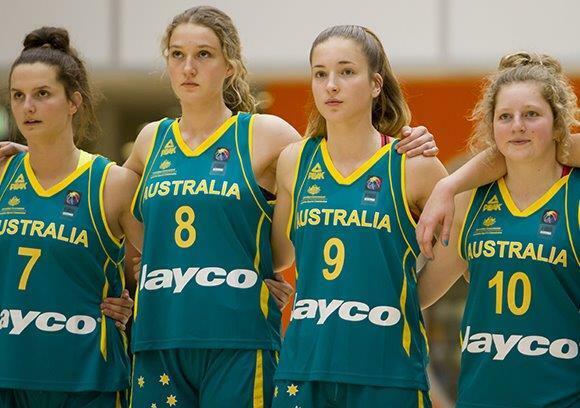 This month seventeen year old Taylor Ortlepp will travel to Europe to represent Australia and compete against the world's best in the Under 17 World Championships. The extensive ten-month selection process began in September 2013 when Taylor was selected to play in the Australian qualifying team against New Zealand. Since then she has attended training camps with Basketball Australia, competed in the National championship and represented Australia in a tour of China. Taylor is extremely happy to be selected in the team after such a rigorous process with continual pressure to perform and the high commitment to training. "It is a very intense program and every athlete is at the training camps and competitions fighting for a spot," said Taylor. "I was not 100% confident as there were a lot of strong athletic players competing for the same position as me, however, I have definitely seen a change in my game over the past 12 months," she said. Taylor spends 14 hours a week training, which will increase in the lead-up to the championship as she includes additional individual sessions to her regular training schedule. "Whilst I am excited, I will need to stay focused and remain working hard in the lead up to make sure I am in the best physical shape for the championship," said Taylor. Taylor departs for Italy on June 17 to participate in a pre-world tournament before the World Championship which kicks off in the Czech Republic on June 28. Read Taylor's story published in the Sunday Mail. Read Taylor's story published in the East Torrens Messenger.